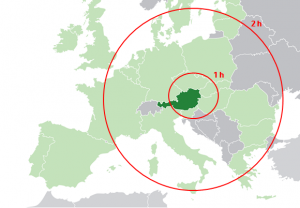 Vienna International Airport (VIE) is only 18 km (11 mi) from central Vienna (20 minutes drive). Given its location in the heart of Europe, the airport provides non-stop flights with more than 150 cities worldwide. 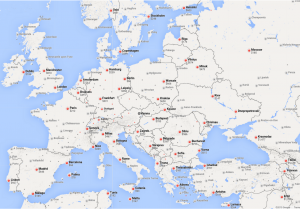 More than 112 destinations in Europe. Austrian Airlines is a member of the Star Alliance network and has the biggest European network with more than 112 destinations in Europe. 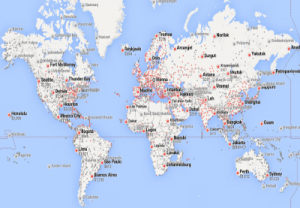 In the map above you can see the flight distance from Vienna to most of the European cities. Worldwide connections. 1-stop flight, including non-stop flights from the US and Canada: New York, Washington, Toronto, Chicago, Newark. 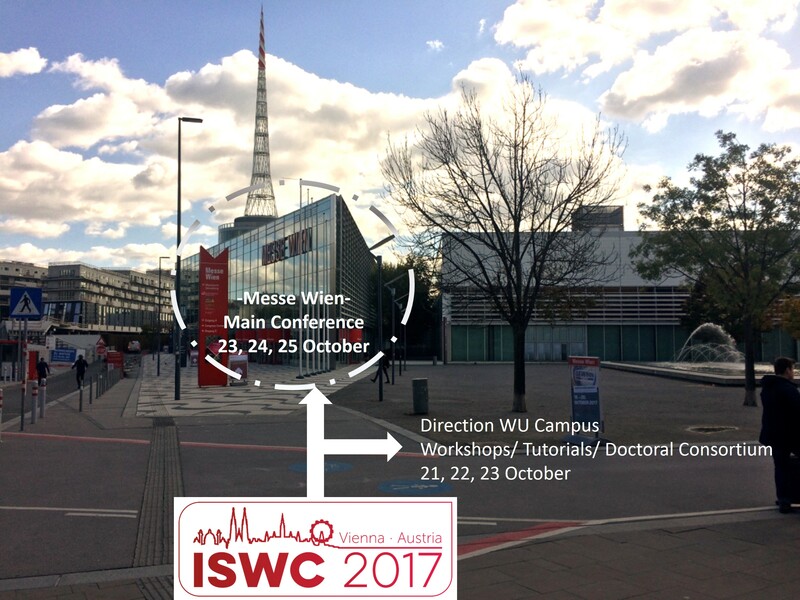 Book your flights to the “ISWC 2017” online at www.austrian.com and save 15% on all applicable fares! See details of the offer. 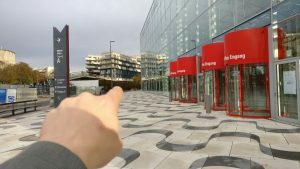 Vienna International Airport is about 20 km from the city centre of Vienna, which can easily be reached by Airport Bus Shuttle, CAT (City Airport Train), train (S-Bahn), airport bus shuttle or taxi. The CAT takes you to the City Air Terminal (Wien-Mitte/Landstrasse, undergrounds U3 and U4) in 16 minutes. From Wien-Mitte/Landstrasse, take underground U4 direction Heiligenstadt and take stop at Schottenring. 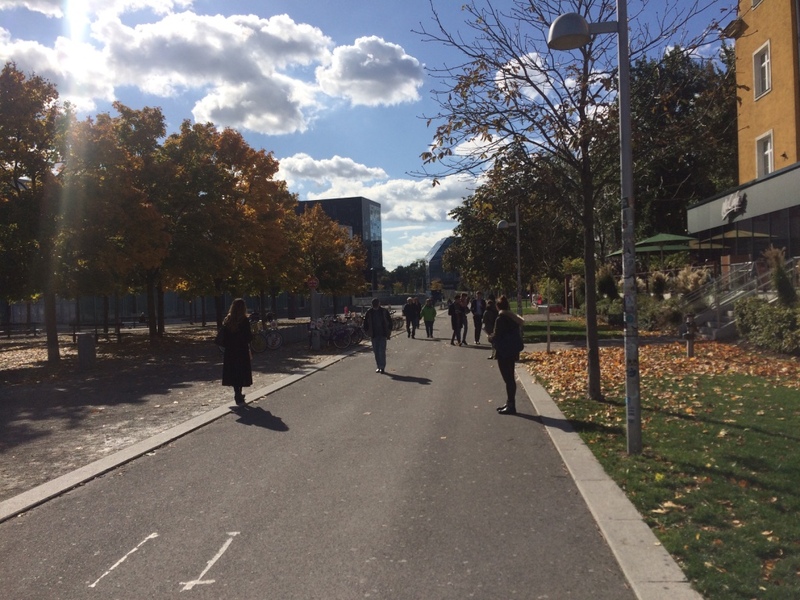 At Schottenring, change to underground U2, direction Seestadt or Aspernstrasse. Get off at stop Messe Prater (see how to arrive to ISWC below), only 1 stop from Praterstern. CATs leave the airport every half hour from 6:05 am to 11:35 pm and the City Air Terminal from 5:38 am to 11:08 pm. Several airlines offer check-in services at the City Air Terminal. 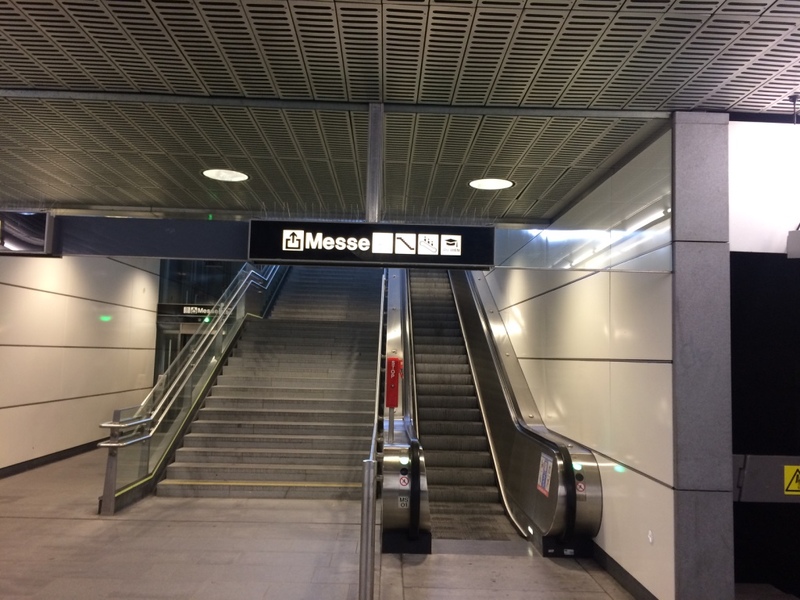 To get to the airport train, follow the sign “S-Bahn” in the airport arrival hall. Take line S7, travel time: around 25 minutes. 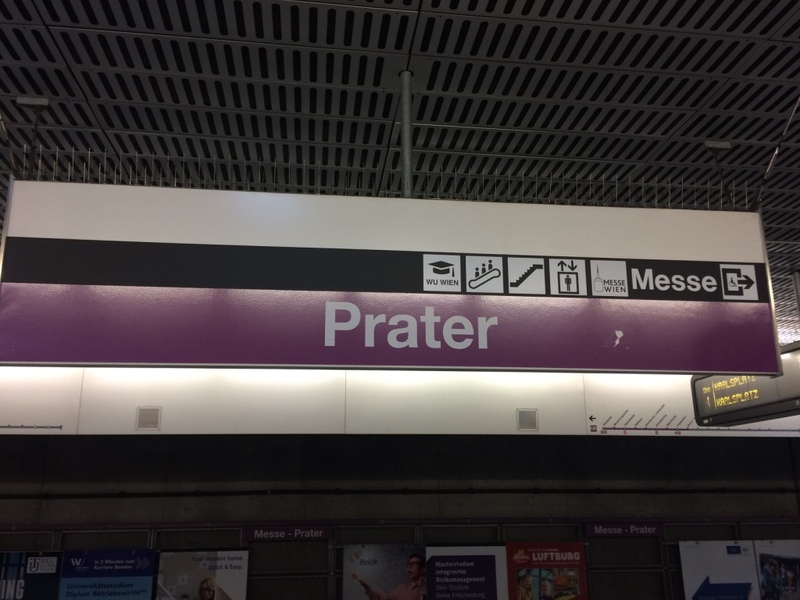 At stop Praterstern, change to underground U2, direction Seestadt or Aspernstrasse. Get off at stop Messe Prater (see how to arrive to ISWC below), only 1 stop from Praterstern. You can buy the ticket (for two zones!) at the ticket machine in the train station (4.20 Euro incl. public transport in Vienna). The bus station is directly in front of the airport arrival hall. Buses leave every 20 to 30 minutes. It takes around 30 minutes to get to Vienna. Tickets (8 Euro) can be bought on the bus or from the ticket machine. Tickets are only valid for the shuttle bus, not for public transport in Vienna! 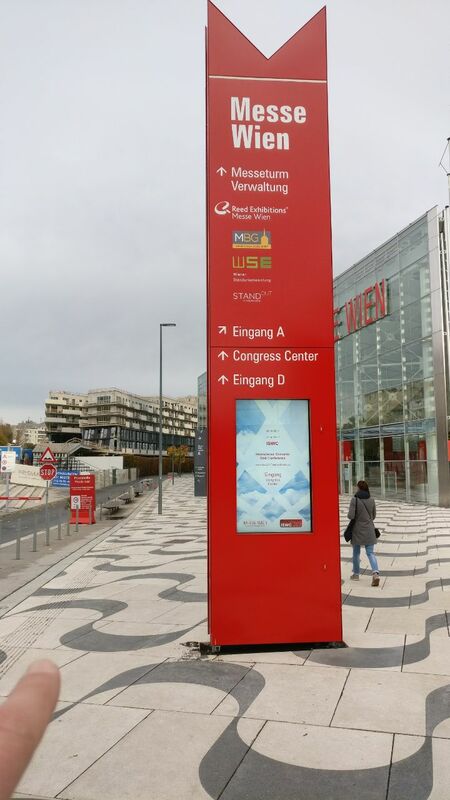 Participants who want to go directly to the conference venue from the airport are advised to take the airport bus to Wien Morzinplatz/Schwedenplatz. Then take underground U4 direction Heiligenstadt as described above. The taxi stand at the airport is in front of the arrival hall. It takes about half an hour to get to the city centre (approx. 36 Euro). Take underground U3, direction Simmering. At stop Volkstheater change to underground U2, direction Seestadt or Aspernstrasse. Get off at stop Messe Prater (see how to arrive to ISWC below). Take underground U6, direction Floridsdorf. At stop Längenfeldgasse change to underground U4, direction Heiligenstadt. At stop Schottenring change to underground U2, direction Seestadt/Aspernstrasse. Get off at stop Messe Prater (see how to arrive to ISWC below). 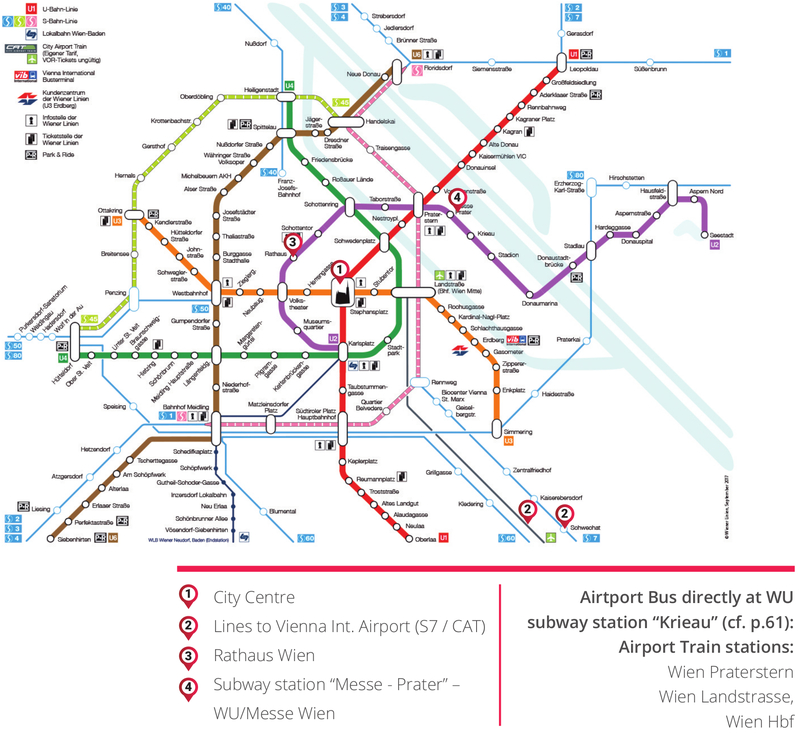 Vienna has an efficient public transportation system.Within the city limits, all tickets for public transport are valid for buses, trams and undergrounds. 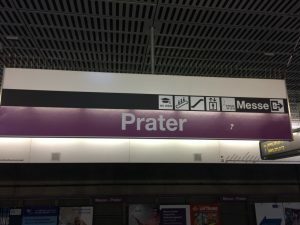 The nearest underground / tram station to the University is called “Messe Prater” (see how to arrive to ISWC below). Wiener Linien, the Vienna public transport authority, offers a slightly discounted congress ticket that can be booked in advance by all ISWC attendees. 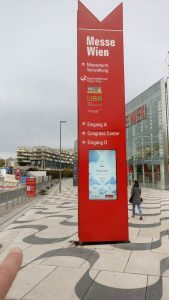 The ticket not only allows you to travel between your hotel and the conference venue, but gives you full access to Vienna’s public transport network. You can buy a congress ticket (for you and any accompanying person) and choose a validity from a single to up to 5 days. 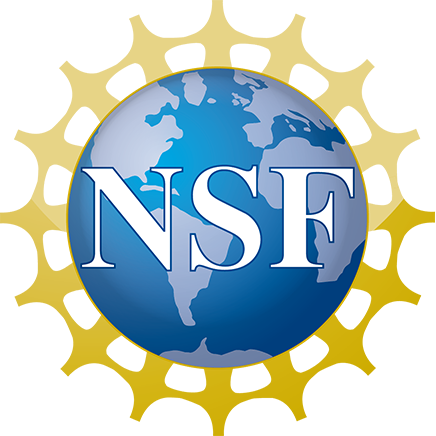 Depending on the number of days, the rate will be slightly reduced. Also note that the 4-day and 5-day passes are heavily discounted and not available elsewhere. 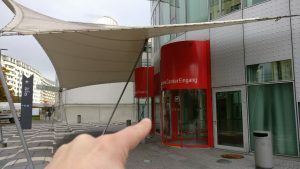 Furthermore, you can optionally include the ticket for the direct train from and to Vienna Airport (CAT City Airport Train). You can book your Wiener Linien conference ticket here. Take the exit door in the direction of the Messe building. Once you leave the station, you will find the Messe building (main conference) just in front of you. 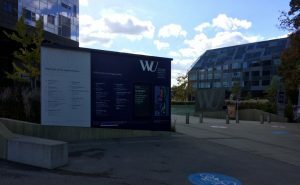 The workshops, tutorials and doctoral consortium (21, 22 October) and the Poster&Demo reception, Business Treff and Jam session (23 October) will be hosted in the WU campus. Once you leave the station, turn right and follow the path. After a few meters you will arrive at the entrance to the WU campus. 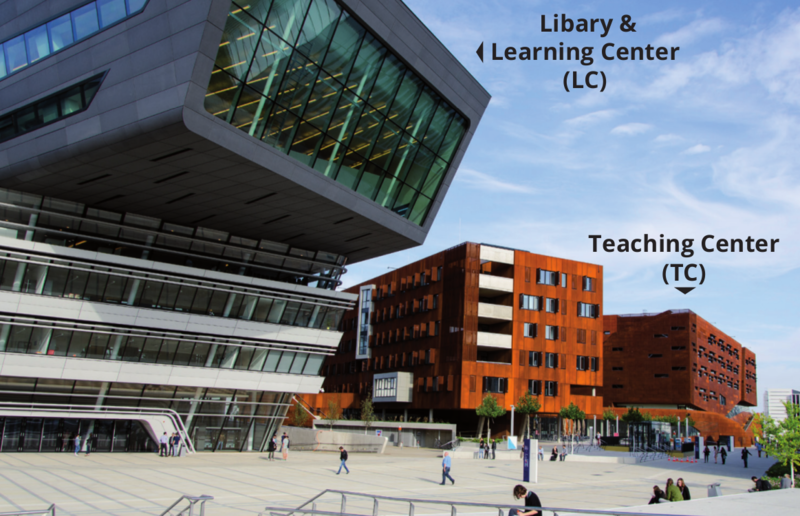 You will reach the two main buildings (Learning Center and Teaching Center) after few meters. The registration desk is located in the Teaching Center (TC).